» Produkty na drzewo » Archive by Category "Opaska na drzewo"
Simple and efficient method of fighting pests of fruit and ornamental trees. The glue band is made from a weather-resistant material, allowing for a precise adjustment of the band to the shape of the tree trunk. 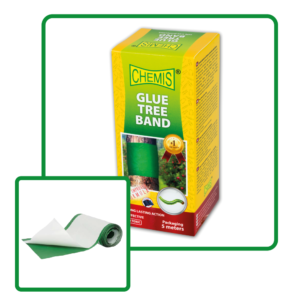 The band is coated with a non-toxic and permanent glue, and is protected until its application with siliconed paper. The trap is available in the standard size of 2,5m or 5 m x 21 cm. It is possible to modify the dimensions of the trap in line with the customer’s needs.